Lagos state Governor, Akinwunmi Ambode on Sunday warned that all traffic offenders in the state would henceforth be prosecuted. 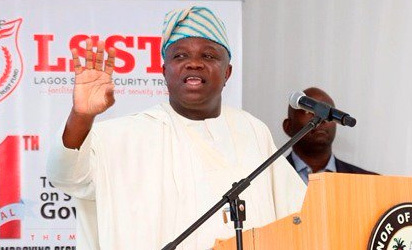 Ambode gave the warning after paying a condolence visit to the headquarters of the Lagos State Traffic Authority (LASTMA) over the death of Mr Rotimi Adeyemo. The governor said that the government would no longer condone any act of lawlessness by road users. Adeyemo, an officer of LASTMA was on Nov. 28, allegedly shot dead by an officer attached to the Federal Special Anti-Robbery Squad (FSARS), at Iyana-Ipaja area of the state. The LASTMA official was said to have flagged the FSARS official down over traffic issue and the victim was allegedly shot in the process.